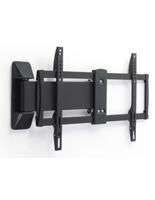 The full motion TV mount extends the reach of your TV. 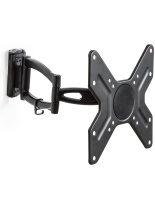 Free up your floor space by getting your screens off the floor and up on the wall. 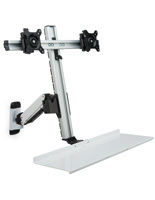 A full motion TV mount, also called extendable LED arms, is perfect for a variety of commercial applications. 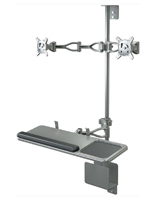 Articulating mounts allow visitors in waiting areas to appreciate an unobstructed view of television news, sports scores and game clips, and entertainment channels. 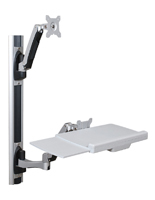 Restaurants and bars use these necessary fixtures for providing excellent viewability for its patrons. 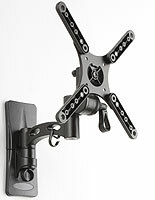 You can install articulating flat screen fixtures in unique, challenging spaces, too. 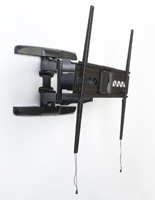 How is this possible? 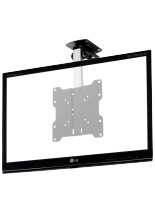 Whether in renovated, restored, or existing spaces, LCD installation can present a daunting prospect if the viewing angle is something other than head on. 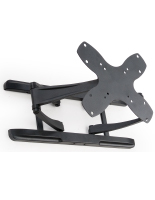 These brackets address those situations by mounting to any cement, wood, or other solid surface. 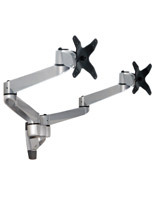 They tilt, rotate, extend and retract from a ceiling or wall, and are adjustable in place. 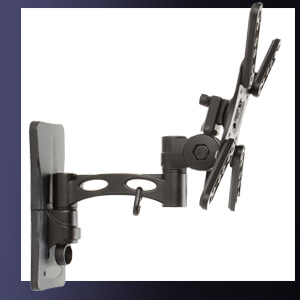 Wherever the arm is placed, you can rest assured your flat screen TV will be seen. 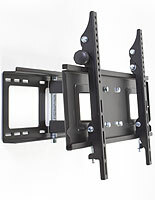 What are the highlights of these flat panel brackets? 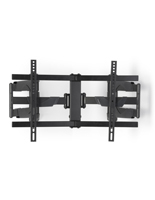 Each of these full motion TV mounts is designed to keep viewers focused on the LCD display. 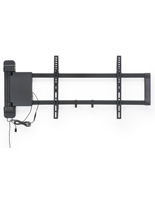 They keep the TV out of reach and free from inadvertent contact. 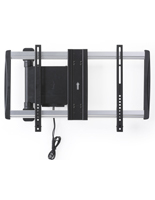 Some models can hold the monitor close to the wall, for a true flat panel effect. 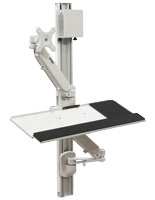 Those with articulating arms provide the most extension. 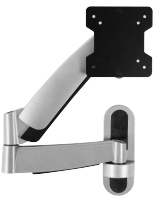 A locking bar is available on some models that provide an extra level of security against theft. 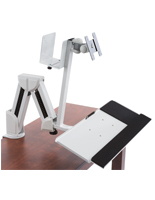 A motorized arm can be controlled and/or adjusted with a remote. 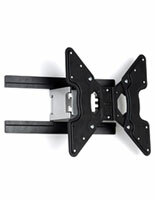 All our universal TV mounts are VESA compatible. 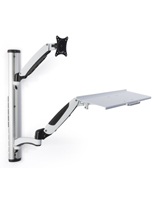 Why is VESA compatibility important? 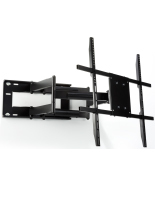 The Video Electronics Standards Association has drawn up industry-wide design specifications for brackets that connect to flat panel TVs. 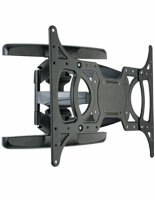 This means that a 26" Sony LCD flat screen or 55" NEC LED TV will work with the universal mounts sold on this website. 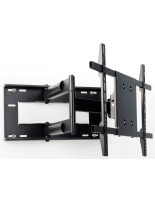 Your TV's user manual tells you its VESA specifications. 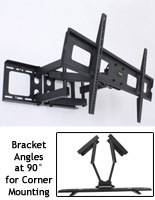 Use this information to identify which bracket matches the hole locations on the rear of your screen. 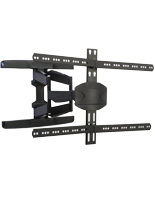 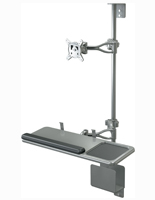 MonitorStandsNow stocks these TV mounting fixtures in multiple sizes, styles, and price ranges. 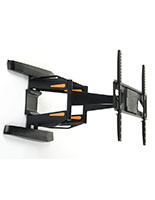 Their range of movement and capacity for fine adjustment are what make these products so appealing. 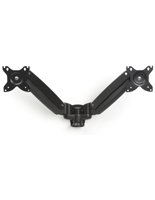 These wall arms also happen to be some of the most affordable fixtures sold on our website. 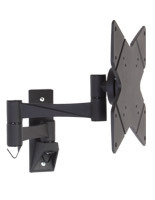 Is your new bar planning to install a number of TVs high overhead in many locations? 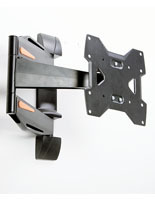 Buy articulating commercial TV brackets to ensure your patrons get the best seat in the house. And when you purchase mounts in bulk you can save even more.